Hey, just wondering how the game determines where Saturos starts in his pattern? I tried comparing it to the stuff we did for Star Magician (http://forum.goldensunhacking.net/index.php?topic=2784.msg46723#msg46723) and it didn't seem to be following this formula. For that, Guardian Ball used the first attack pattern. Saturos doesn't. Looks like Saturos is the second pattern. The other sequential pattern starts on the first ability, so it is left out. Sorry I should have been more precise, I mean Saturos at the top of Mercury Lighthouse i.e. when his attacks are sequential. ^The Mercury one would have beenn my first guess due to no mention of Menardi. But thanks for being precise! I worked out from your earlier post that I just needed to bit.and with 0xFFF then bit.rshift by 8 places to isolate the number determining Saturos's attack. 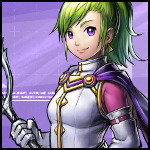 -Some battles in Sol Sanctum until Jenna has a certain amount of exp. -Battles on the World Map. P.S. Not sure if that .xlsm would be better in Google Spreadsheets or not....? Google sheet may have been better, but I had to write some VBA functions for RNG advance and whatnot. It's not feasible to track BRNs to manipulate fights, but since Saturos is so dangerous and Eruption is just instant gg counting BRNs to that point is feasible with a useful application. Going to need to see if I can view the scripts in any free software... er.... Edit: OpenOffice appears to view them. - Seems to start most lines with "Rem", though... which looks weird. So Mercury Lighthouse Saturos is the only enemy that actually matters for BRNs? Interesting you are using "doubles"... I think "integers" are the way to go, but anyway... There may be a possibility that this code can be shortened and made readable at the same time? Manticore and Kraken would probably be the other two. Kraken is more difficult because his attack will depend on what the elven shirt user does, and beyond the first attack there's not much you can do to manip beyond that (or atleast I can't think of a way). Manticore is also a pattern boss like saturos but not nearly as scary since you won't get OTKO by the manticore on any of his turns.